I’m back in Australia! It’s taken two days to recover from jet lag, the tail end of a head cold and a drastic drop in temperatures from the time I touched down in Sydney airport. I had a brilliant time in India! It’s everything and more I hoped the trip would be- confronting, exciting, eye-opening, surreal and challenging. My fiancé and I arrived in Bangalore (South India) about three weeks ago to begin our adventure. We needed some recovery time after two flights and a lengthy stopover in Singapore Airport before we set off for Goa, the coastal area on the Western side of the huge country. Our next stop was Mumbai and this was one of my favourite stops- loved this city! Then we went right up north to Amritsar, home of the Golden Temple before going into seclusion for a few days at a Himalayan retreat at the base of the Mussoorie Hill Station. Then unintelligently we took our relaxed bodies and minds to the one of the most crowded, confronting and hottest cities on the planet- Delhi. With temperatures in the late forties, young men waiting on every corner keeping an eye out for foreigners to con and air thick with dirt and pollution- Delhi was a confronting place to be. After enjoying the various Indian experiences to this point I was surprised by my initial reaction to run back to my hotel and hide away from the challenges faced by simply walking outside our hotel. But as the days worn on and with the help of some local, insider knowledge from Ryan’s work friends I found myself falling in love with the place and wishing I had a couple of extra days to spare. I even got used to the heat, the feeling of sticky, sweat-ridden clothing and the sensation of grime on my arms. The plane flights home was a bit of a marathon and I really don’t know what was going through our minds when we thought a midnight flight would be the answers to our problems! So, anyway I’m back. I’ve plenty of reviews to catch up on and a mammoth of emails to reply to as well as blogs to visit and comments to respond to, so I’ll be busy these next couple of days. I’m sorry if I’ve been off the radar for a little while, but using Wi-Fi on my iPhone for the small amount of times that I was in range was not easy on the eye when trying to blog or email! In the meantime, here’s a few pics with my most memorable experiences from my Indian adventure! 1. Taj Mahal. One word: Amazing! It was about 48 degrees the day we were there… HOT! 2. 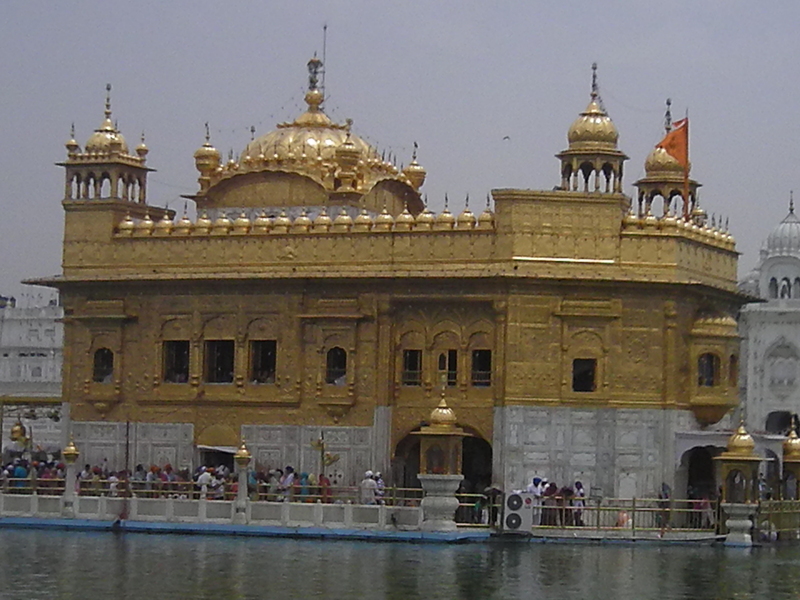 The Golden Temple, Amritsar. An amazing spectacle! 3. 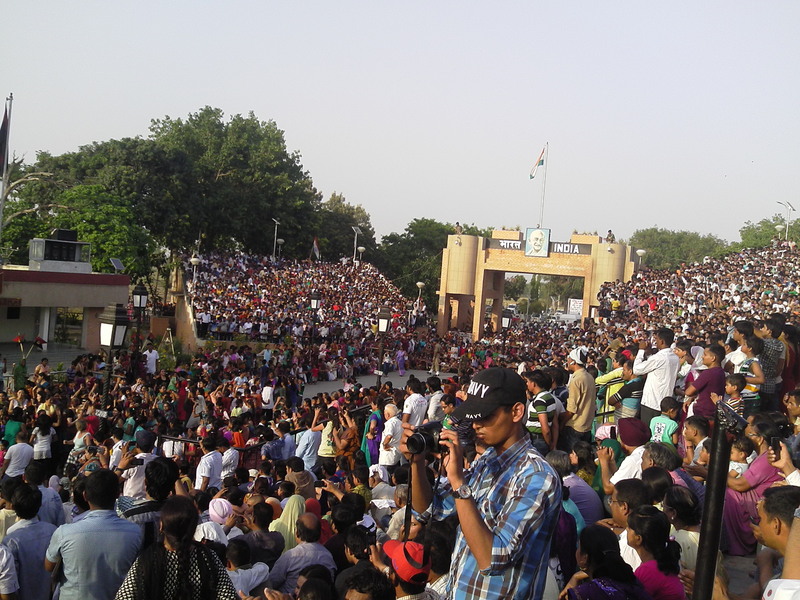 Wagah Border. Changing of the guards ceremony at the Pakistan/ Indian border in Amritsar. I can’t believe they do this every day! There were about 10,000 people here. 4. Bollywood Movie! We saw Rowdy Rathore, an action/ romance/ comedy movie at the classic Regal Cinema in South Mumbai. The cinemas in India are like old theatres complete with dress-circle balcony and an intermission. Rowdy Rathore was about 3 hours long and completely in Hindi, but we loved it! 5. Food. 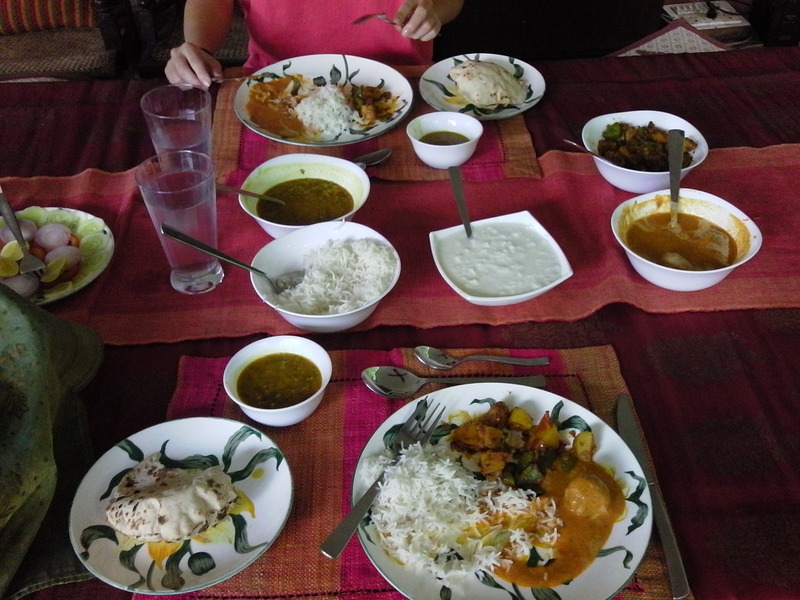 I can’t talk about India without commenting on the delicious array of meals available. I love curries but to be honest i thought i would get sick of eating them every single day. Surprisingly, i couldn’t get enough! We ate them twice a day, so it’s no surprise that my hayfever and sinus problems completely disappeared in India! 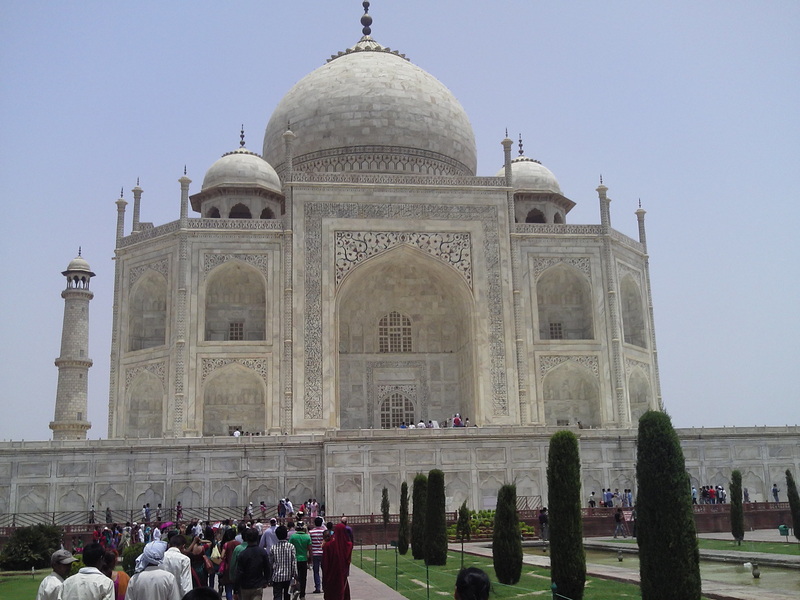 Thanks Mish… the Taj Mahal was an amazing sight. I couldn’t believe how big it was! Welcome home Jayne! Sounds like an amazing trip! Welcome back Jayne! Sounds like you had a wonderful time!